Broccoli is a member of the cabbage family. While most often used for its large florets, the entire plant is edible. 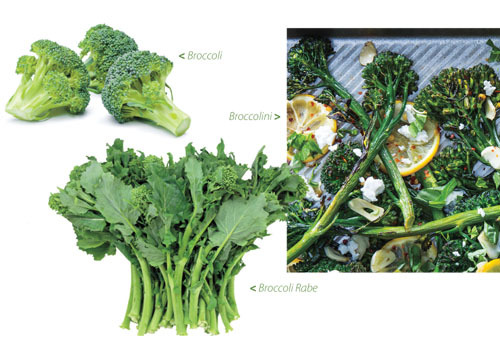 Broccolini is a hybrid vegetable that is a cross between broccoli and Chinese broccoli. It has smaller florets, edible leaves and is more mild-tasting than broccoli. Broccoli rabe is actually not related to broccoli at all and is in the turnip family. It has thin stalks with dark green leaves and a much more bitter, earthy flavor than broccoli.